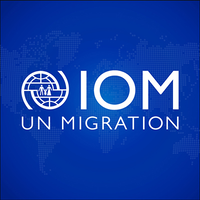 Established in 1951, IOM is the leading inter‐governmental organization in the field of migration and works closely with governmental, intergovernmental and non‐governmental partners. IOM is dedicated to promoting humane and orderly migration for the benefit of all. IOM is committed to a diverse and inclusive environment. Internal and external candidates are eligible to apply to this vacancy. For the purpose of the vacancy, internal candidates are considered as first‐tier candidates. Provide client service excellence to applicants at all times, in full compliance with the Immigration, Refugees and Citizenship Canada (IRCC) Statement of Work (SOW) and the IRCC Service Standards. limited to Self‐Service and Assisted Data Entry services. Informing clients of any changes to visa requirements or submission procedures. appointments for visa applicants who require interview, as required. Maintain positive working relationships with IOM’s Lead VAC Partner, VFS Global and IRCC staff locally. Immediately inform management of any problems or issues related to her/his daily work and regularly make suggestions on how to improve efficiency and client service. Comply with the IOM Policy for a Respectful Working Environment”, “IOM Confidentiality Agreement”, “IOM Data Protection Manual”, IOM Standards of Conduct”, and the “IOM Policy on Reporting Irregular Practices, Wrongdoing and Misconduct”. Such other duties as may be assigned by the Chief, Financial Services in Manila, Immigration & Visas Unit at HQ and the VAC Regional Team Leaders. Establishes strong relationships with colleagues and partners; relates well to people at all levels. Is fully aware of the team purpose, respects and understands individual and collective responsibilities. Willingly puts in extra effort without being asked and adopts a “hands‐on” approach whenever necessary to achieve team objectives. Produces quality results and provides quality services to clients. Meets goals and timelines for delivery of products or services. Manages time and resources efficiently, monitoring progress and making adjustments as necessary. Shows understanding of own role and responsibilities in relation to expected results. Keeps abreast of new developments in own field of competence and creates opportunities for knowledge management initiatives. Shares knowledge and learning willingly, and proactively seeks to learn from the experiences of others. Puts new learning into practice and draws on diverse sources of ideas and inspiration. Contributes to the identification of improvements to work processes and assists in implementing them. Accepts personal responsibility for quality and timeliness of work. Takes ownership of all responsibilities within own role and honours commitments to others and to the Organization. Presents information using language and sequence of ideas that is easy for recipients to understand. exhibits interest in having two‐way communication. Encourages others to share their views, using active listening to demonstrate openness and to build understanding of different perspectives. Listens carefully and genuinely to the views and positions of others; acts on received information. Completed High School degree from an accredited academic institution, with four years of relevant professional experience. Demonstrated proficiency with Microsoft Office applications, including Excel, PowerPoint, Good knowledge of information technology and proficiency in Microsoft Office applications especially Excel, Word, PowerPoint, Publisher, and SharePoint. Previous work experience in similar setting will be an advantage. Fluency in English and Kiswahili languages is required. Knowledge of French language is highly desirable. International Organization for Migration Mission in the United Republic of Tanzania Slipway Road, off Chole Road, Plot # 1365 Msasani. PO Box 9270 Dar es Salaam, Tanzania. Kindly note only shortlisted candidates will be contacted & Vacancy is only open for Tanzanian nationals.